This piece was inspired by an early morning hike with my then very young daughter. We spent the morning sitting by the lake and we could see the shadows of the fish in the clear lake water. The piece is constructed of hand painted and dyed commercially printed fabric. 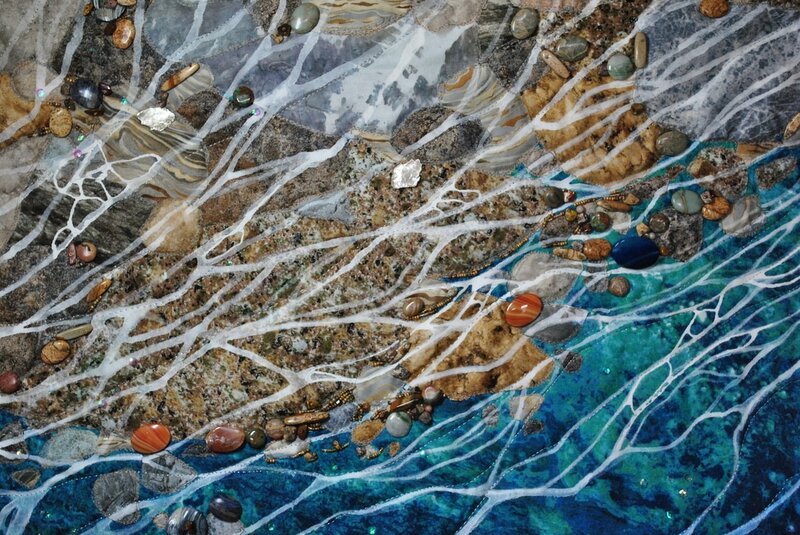 It is hand beaded and embellished with beads, rocks, crystals, and mica chips. 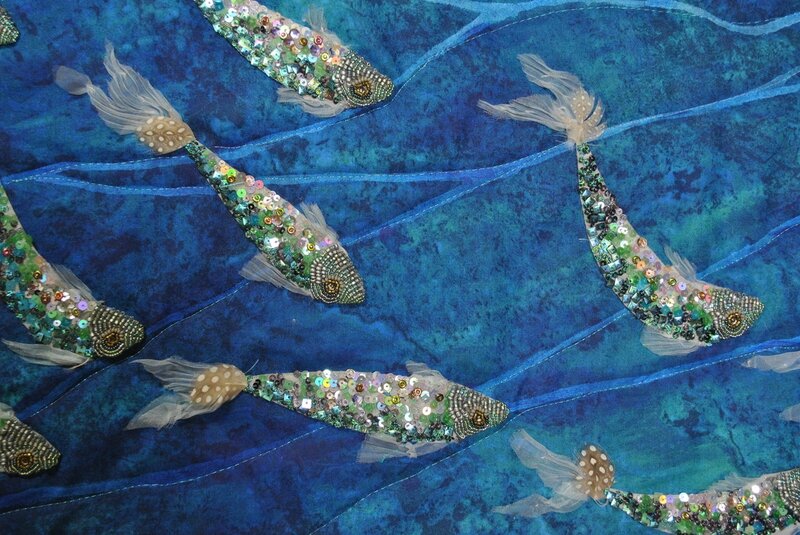 The fish are hand beaded and embellished with sequins, crystals, manipulated chiffon, embroidery, and feathers.